To fully protect your home, yard and landscaping, an efficient gutter system must keep water flowing off your roof and away from the structure. Without gutters, water will simply spill off the roof edge, staining your siding, wearing away your foundation, and eroding plants and landscaping. Lakeside Exteriors installs efficient gutter systems that carry even the heaviest rainfall safely away from your home. A properly functioning gutter and downspout system is essential to keep water from entering your home and causing annoying leaks and serious structural damage. We install seamless aluminum gutters due to their durability, reliability, and value. Gutters and downspouts are sized properly to accommodate the expected volume of water without filling up and overflowing, all while looking proportional to your home. Stop Cleaning Your Gutters St. Louis! It is important to keep gutters clean, clear and flowing properly. But does this mean you find yourself climbing a shaky ladder to muck out your gutters every spring and fall? Totally unnecessary! Climb down off that ladder! 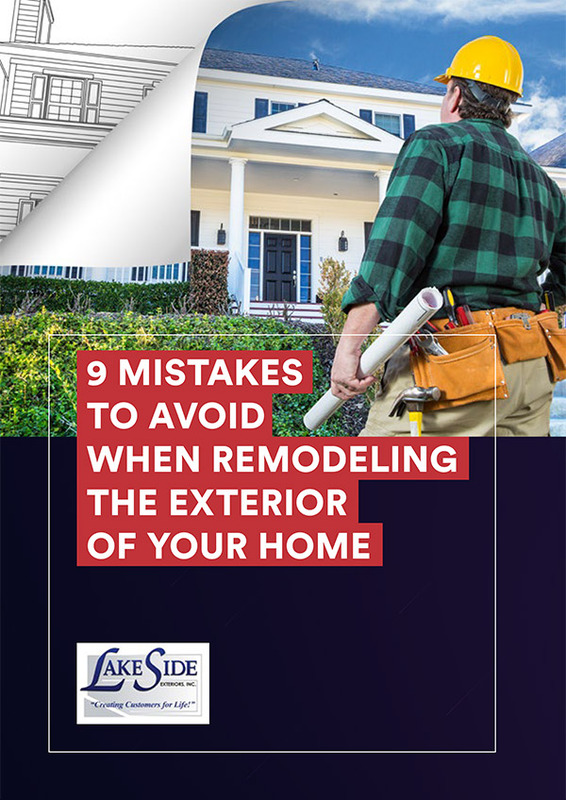 Lakeside Exteriors can install the LeaFree® gutter protection system to provide an effective shield against leaves and debris clogging your St. Louis gutters. LeaFree is the most advanced system for keeping leaves and other debris out of in your gutters so that water can flow freely. It is suitable for all gutter styles and withstands exposure to sun, wind and weather extremes. The result is that gutters stay clear, preventing water and ice from building up and possibly damaging your roof and home. 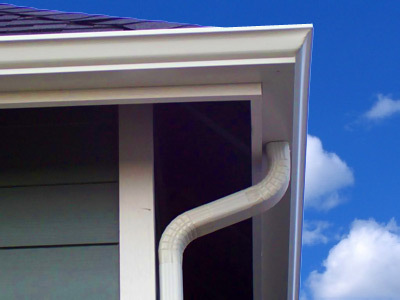 With the LeaFree gutter protection system, you may never have to clean your gutters again! We can install our gutter protection system on existing gutters or on new gutter installations. Call today for a free estimate, before you have to climb that ladder again!